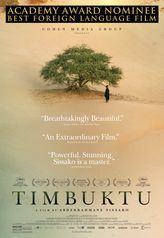 The film, Timbuktu, is to be shown in the Salisbury Arts Centre this Thursday evening 3 December. The film is extremely topical both because of the horrific activities of jihadists in Paris and today’s news of a terrorist attack in Mali which is where Timbuktu is. This is the latest in our joint presentations with the Arts Centre. The film has received many favourable reviews and mostly 4 stars. Timbuktu has entered the English language as a place which is remote and unknown yet recent events have brought the country and the town into the limelight. There will be a short presentation by an Amnesty director before the film starts and afterwards, an opportunity for people to sign a petition or some cards. Tickets from the Arts Centre via the link above or by phoning 01722 321744.